Rich jewel tones brought the bride's vision to life here. Burgundy, red, magenta, cobalt, aubergine blooms alongside Artichokes, Grapes, Eggplant, Pears, and Plums for a cornucopia feel to the fall decor. 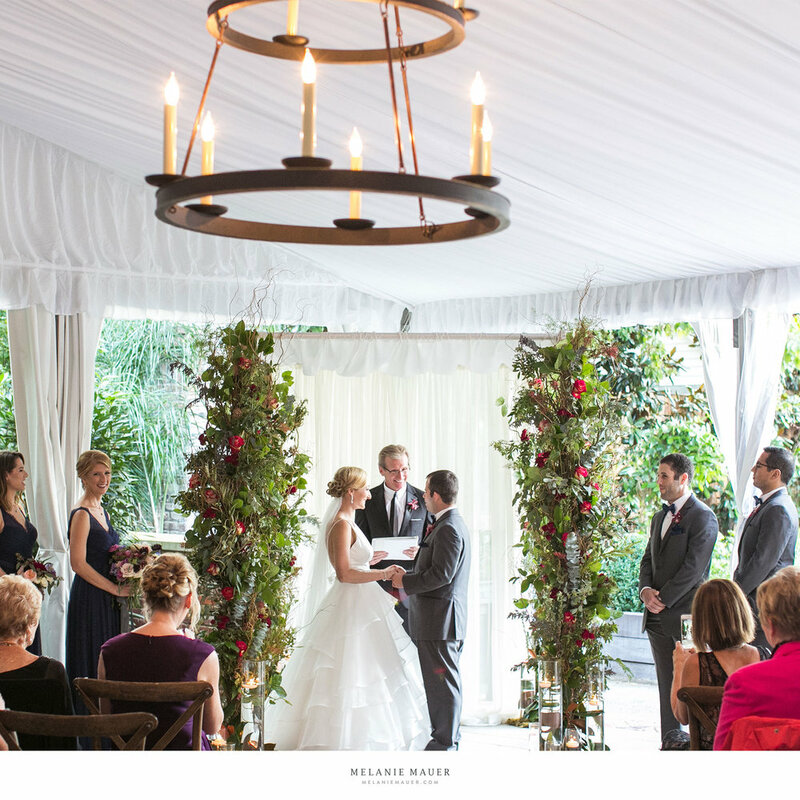 Garland included Magnolia, Olive and Eucalyptus foliage, which we also used on the Chuppah. Brass Candlesticks for sparkle.